By now we are well into Breast Cancer Awareness Month, a month of advice, tips and general information on the disease being offered and shared. While this information garners much media attention, as it rightfully should, what of the wonderful NGOs which are playing a big role in breast cancer survivors’ lives? I’ve recently been introduced to a project by Dr Justus Apffelstaedt, the former head of the Tygerberg Breast Clinic and a specialist surgeon with a particular interest in breast, thyroid and parathyroid health management, as well as soft tissue surgical oncology. He’s endorsing and supporting a Reach for Recovery initiative known as The Ditto Project. Over the next few weeks, I will be shedding some light on the meaningful work done by The Ditto Project – including the incredible volunteers who stand behind it, enabling it to accomplish all that it does, and speaking to a breast cancer survivor who will be elaborating on how The Ditto Project has helped her to regain her confidence following her mastectomy. After having breast cancer and enduring the trauma of a mastectomy, a woman is often worried about her appearance and whether she may feel less feminine or even stigmatised by her community (yes, unfortunately this still happens in many parts of South Africa today). Breast cancer does not discriminate and affects many women from all income groups. 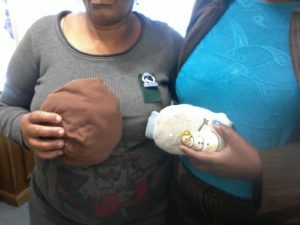 So, while undergoing breast reconstructive surgery may seem like the obvious choice for someone with the means to do so, the majority of South African breast cancer survivors are simply unable to afford the surgery and external breast prostheses may therefore be their only option. Reach for Recovery’s Ditto Project wants to help breast cancer survivors from lower income groups to feel confident again by providing them with a silicon breast prosthesis, an artificial breast which can be worn in the bra to simulate the natural breast and body shape. 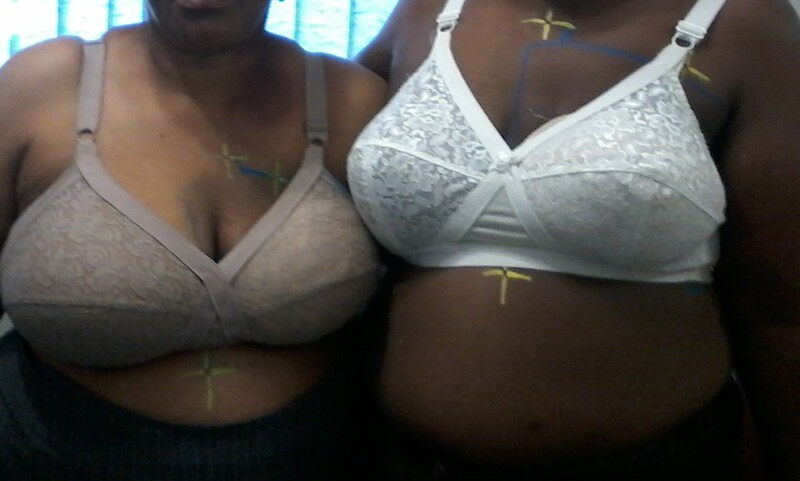 Not only does The Ditto Project’s local fitting services assist recipients in ensuring they opt for the right shape and size for their bodies to ensure they feel comfortable, it also ensures that the women receive a suitable fitted bra so that they can wear their prostheses with confidence and feel like the prostheses are truly part of their bodies. Yep, The Ditto Project is breaking the mould in assisting these women to regain their confidence by literally providing moulds (the prostheses). 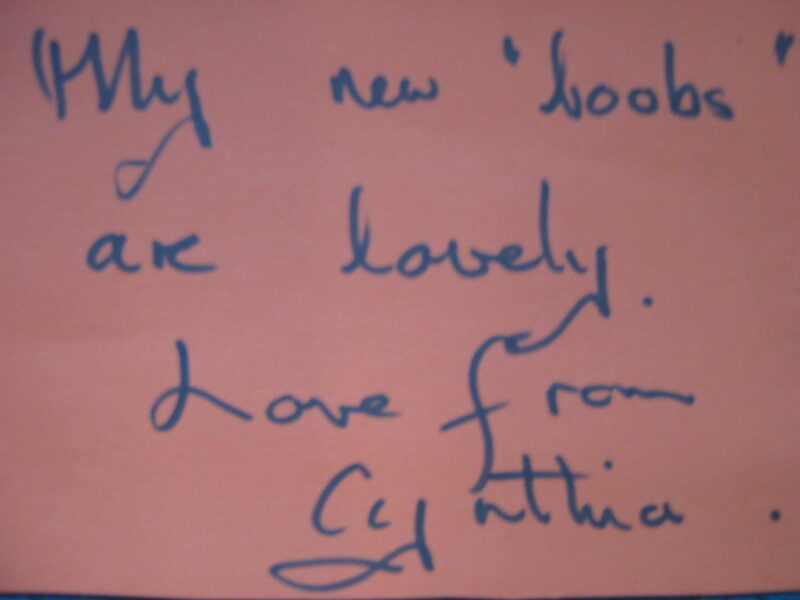 Due to the nature of the work and sensitivities involved, The Ditto Project, which is run solely by volunteers (I’ll delve into this in next week’s blogpost), engages with the recipients with the utmost compassion for all the women have endured. Stephné Jacobs, Chairperson of the Reach for Recovery Board of Management, truly believes that there is an emerging correlation showing the improvement of quality of life in patients who have received the prostheses and finds it encouraging that, in their experience, not only do the physical symptoms and emotional distress abate over time but more often than not the simulation of a breast leads to the resumption of the normal ability to enjoy life. As one of South Africa’s oldest breast cancer support organisations, Reach for Recovery has provided over 5000 indigent women, unable to afford prostheses on their own, with silicone breast prostheses via The Ditto Project since 2011 – now how amazing is that?! Reach for Recovery is an NGO which relies entirely on donations and volunteer work and, at approximately R2000 (or more) per patient, it’s easy to see why. This truly is an organisation I encourage everyone to put their weight behind! To donate towards The Ditto Project, click here and pay via EFT or Snapscan.